Garbage Truck Insurance Quote, Sauk Rapids, MN. Great Rates! Whether you operate a consumer garbage pickup business or you own garbage trucks as part of a construction cleanup business, your company cannot afford to lose those trucks in an auto accident. Even repairing damages from an accident can run into the tens of thousands of dollars range, and this could create a heavy financial strain on your company. Liability insurance pays the other drivers expenses when your garbage truck causes an accident. Liability coverage is required by law in most states, and the minimum amounts you must carry on your truck may vary from one location to another. When you set up liability coverage for your dump truck, you will need to select a deductible and a maximum coverage amount. Setting your deductible higher decreases your insurance premium, but use caution to ensure you do not set it higher than you can afford to pay if the need arises. When you select your maximum liability coverage amount you can choose a single claim limit or a split claim limit policy. Single claim limit policies pay up to a maximum amount per accident that your truck is responsible for. Split claim limit policies assign a maximum amount of money that will be paid on a per person basis for injuries, a maximum that will be paid for property damages, and a maximum total that will be paid per accident. Bodily injury insurance pays the costs when people are injured in an auto accident. If for example, your garbage truck rear-ends another vehicle and causes the other driver to sustain neck injuries, the bodily injury section of your liability policy will pay that driver’s medical bills. Bodily injury coverage pays for standard medical bills such as the doctor’s visits, hospital stays and rehabilitation. It can also pay for the injured person’s lost wages, pain and suffering, and funeral expenses if necessary. Property damage insurance pays for the cost of repairs to the other vehicles involved in the accident. This coverage also pays for replacing a vehicle if it is totaled and your driver is at fault. In a split claim limit liability policy, the maximum amount that is paid for property damages is the third number. For example, an insurance policy that is structured as $15,000/$30,000/$10,000 will pay a maximum of $10,000 for property damages. The first two number define the maximum payment limits for each person's bodily injuries and the total bodily injuries respectively. Medical payments insurance protects you from having to pay the medical bills and associated expenses when your garbage truck is involved in an accident. This coverage is important because it protects the garbage truck driver as well as any passengers who are in the truck at the time of the accident. It is also a no-fault insurance option, which means it pays for medical expenses regardless of who was responsible for causing the auto accident. Physical damages insurance pays for the cost of repairs or replacement when your garbage truck is damaged or totaled. This insurance is particularly useful for companies who lease their garbage trucks, or who still have outstanding liens and loans against the trucks because it provides the most protection possible. Comprehensive damage protection provides you with coverage against a number of different types of hazards. This insurance pays for repairs and replacement when your garbage truck is harmed by something other than a collision or a roll over. For example, if your truck is damaged by falling tree limbs in a wind storm, comprehensive damage protection will pay for the cost of the repairs. Collision damage protection is specifically designed to pay for damages that are caused by collisions and roll overs. If your garbage truck takes a turn too sharply and knocks down a street sign for example, the collision damage protection will pay for the cost of repairs. CAC, or Fire and Theft with Combined Additional Coverage, protects your garbage truck from a limited number of pre-specified events. The events must be listed on your policy and they cannot be collision or roll over related. A collision deductible waiver makes it so that you do not have to pay your insurance deductible when you make an uninsured or underinsured motorist claim. The CDW is available if your company carries uninsured/underinsured motorist bodily injury coverage. Rental – Like your regular insurance policy, rental coverage will pay for the cost of a temporary rental when your garbage truck is down for repairs. Towing – If your garbage truck is not drivable, towing coverage will cover expenses associated with transporting your vehicle. Trailer Interchange – When you exchange trailers with other companies, you must carry separate insurance on the trailer interchanges since your company does not own them. 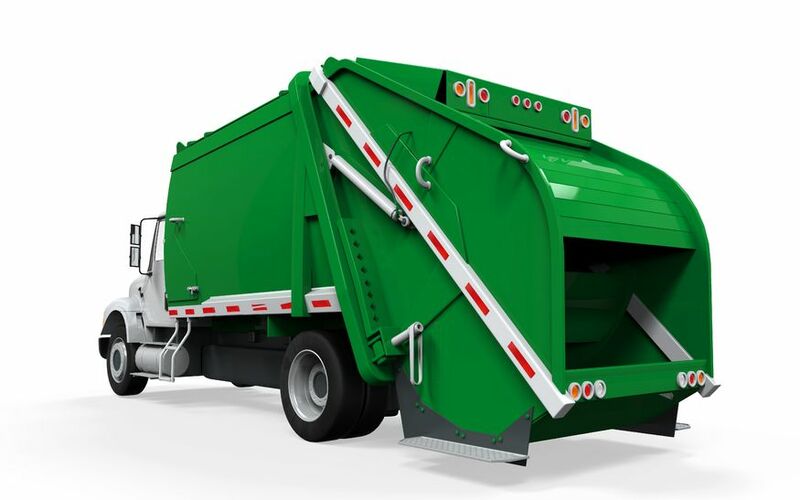 Accessories - Your company garbage trucks probably have specialized equipment mounted or installed so that the drivers can do their jobs more effectively. Protect from the loss of devices such as navigational and communications equipment by adding accessories insurance coverage. Let Tri-County Insurance help you choose a policy that will fit your individual needs. Protecting your assets, whether personal, business, or both, is our goal. A well-chosen policy can lessen the impact of some of life’s most common, yet unforeseen perils. We’re here to help when you are considering Garbage Truck Insurance.